Instagram story highlights are the first thing anyone sees when they go to your Instagram profile, after all, they are located right in the middle of the screen! 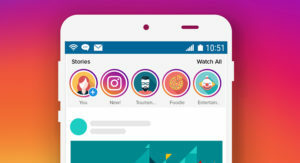 Having fun, colorful and personalized story covers can help you boost engagement, increase the number of followers by getting people to stay on your page and view your Instagram stories, and just make your Instagram profile look more cohesive and stylish. If you want to have beautiful Instagram highlights icons you don’t necessarily have to create them yourself - websites like Flickr and lots of others have tons of options to choose from. Simply go ahead and download a few stories icon templates you like. Now you probably want to customize these pictures to features your brand’s color, signature font, logo, etc. If you are a proficient Photoshop user, this won’t be a problem for you, so just skip ahead to uploading and setting up highlight covers on Instagram app. But if you’re not good at photo editing, go ahead and download Canva to your PC or Mac. Once you’ve opened the program, click “create a design” button and input customized dimensions for your cover - you want to choose 1080x1920 pixels. Upload the templates for your Instagram story covers and choose “Backgrounds” to create a list of colors, shades and patterns for your covers. Then click “Uploads”, choose an icon you’d like to use, drag it to the image and position it accordingly. If you don’t like the icons, you can choose a pretty font and type out the theme for the stories instead. Once you’re happy with the results, download the icon covers and open Instagram. The first step to putting icons on Instagram is making sure the “Archive story” feature is turned on for your account. Just go to story settings and check. After that, go ahead and add the icon you want to use as your story highlight cover on Instagram. Be careful not to delete it before the story expires - this will only work if the cover is ip in the stories for 24 hours. Then open your story, press the heart highlight button and choose to either use the story as a new highlight or add it to an existing highlight, choosing from the list. If you want to edit the highlight or its cover, go to your profile, hold the cover icon and choose the edit or remove option. From there to can change the size of the highlight cover icon or change the name of your Instagram highlight. 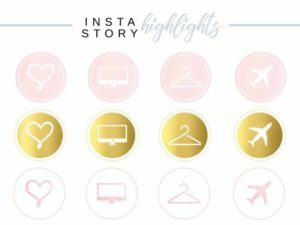 Now you should be all set for creating a gorgeous Instagram profile in line with your brand’s unique style and your followers will have a way to view your storied even if you posted them a while ago.